For the fourth time in the last month, a statue outside St. Gregory Parish in Dorchester has been vandalized. Why? Is it something we did? Did we hurt you in any way? What's the reason for it? When i saw it i was just heartbroken, at first you just say it's a silly prank, then you sa ywell no this is a little bit more serious and a lot more hateful, there's just no place for it. Treated as a hate crime. 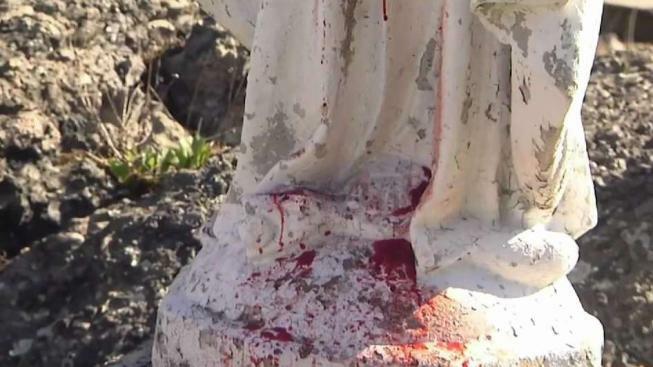 The church was first hit in March when a Virgin Mary statue was covered in a red oily substance that looks similar to paint. Churches were also hit in Hyde Park. The reverend at St. Gregory is struggling to understand why someone would do this. 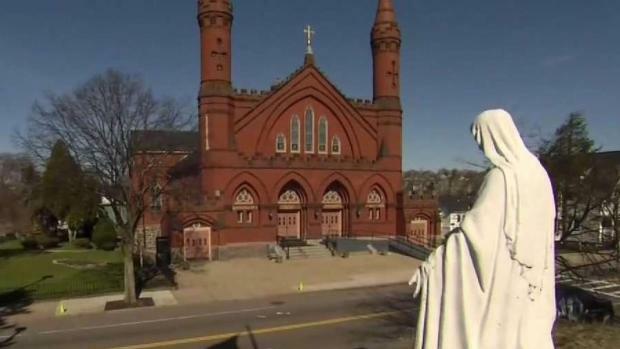 Dorchester police are investigating the fourth instance of vandalism of a statue in the last month outside St. Gregory's Parish. It's not the only church being hit. "Why? Is it something we did? Did we hurt you in any way? What's the reason for it?" Rev. Jack Ahern said. Those who work and worship at the church are distressed over this. "When I saw it I was just heartbroken," Ahern said. "At first you just say it's a silly prank. Then you say well, no, this is a little bit more serious and a lot more hateful. There's just no place for it." The incident is being treated by Boston police as a hate crime, according to Ahern. Police have not yet been able to locate a suspect. The same oily substance was previously located on a bench in front of the church as well as on the side of Most Precious Blood in Hyde Park on March 11. Anyone with information is strongly urged to contact the Boston Police Civil Rights Unit at (617) 343-4527.